Large cargo bag. These are the ones you put on those racks that hang off your rear receiver. I don't use that rack but often need large bags for storing stuff in the bed of the truck (e.g. traveling for Christmas with luggage and gifts. I have a tonneau cover but slush and crap can still find its way into the bed). I cannot speak for the quality of this brand but placed an order myself. Daily Steals has a good deal on all kinds of tablets. Yes I've used Daily Steals quite a few times. The thing you have to be aware of is shipping. Shipping is usually free but they might ship in two days or two weeks. Who knows? You just have to wait. Woot has some decent GPS units today for $39.95. Real-time traffic, construction... on the units (no subscription required). Daily Steals has quite a few good deals. IPAD 4 16gb for 349. I bet Nixon already has one of these. 2 actually ! One like the one in the pic . The other is black and gold for more formal occasions . Todays deal of the day. Asus 10.1 tablet with keyboard Windows 8.1 $230 from Groupon. Any St. Louis Rams Fans out there? Can't order it online but there's a quilt place in the mall here that sells all sorts of bedding of very good quality. 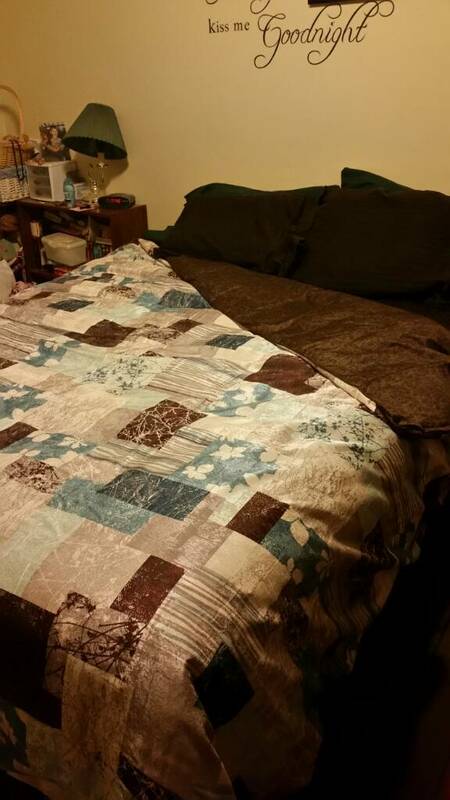 We picked up a duvet cover the other day for 60% off the regular price of $220 plus the governments share. So with taxes included it came out to $99.54. Not a bad deal. What's even better is that I won the door prize at the annual christmas party for work last weekend which turned out to be a $100 gift card for the mall. So we ended up with a new duvet cover for free that matches our curtains and bedskirt. Ammo cans at Academy. $9.99 each free shipping! Proscan 55" 1080p 60Hz LED HDTV $300 delivered. My local TSC has the 50’s in stock. Just noticed I posted the same item on sale two years ago! I promise I don’t spend all my time dreaming about ammo boxes! I'm still cracking up over Nixon's post #66.